Last spring while teaching about World War I and the Russian Revolution, I was struck by a phonetic similarity between the term for the leaders of pre-Bolshevik Russia and a song that was particularly popular from mid-2015 through early-2016. For the song in question (which had the chart trajectory depicted above), click here at your own peril. With this inspiration, I quickly went to one of the internet’s many meme generators, plunked in some pictures, typed up a dopey pun in 72 pt. Impact font, et voila! This past February I defended my dissertation at the University of Texas at Arlington. My defense took place on a Monday, which is when my school has one of its weekly Morning Meetings. On the day I was in Texas for my defense, my friend and colleague, Kate, made an announcement/call for participation in a Congratulatory Mind-Map to celebrate my successful defense. It was a super-sweet and kind gesture — especially given my love of all things “Mind-Map.” (Further evidence of that interest is also here, and here, and here). As I tidied my classroom today in preparation for the first day of classes tomorrow, I thought I’d document and work to preserve this wonderful gift from my school community by posting it here. Thanks again friends, and here’s to another wonderful school year! Hmmmm…it seems that almost 85% of that day’s traffic came from a post on one of my oft-discussed topics – reorganizing information in meaningful ways. But this wasn’t just a garden variety version of an info-reorganization post, it was one about political party timelines. And what might account for this unexpected (and then quickly vanished) interest on May 13 in particular? 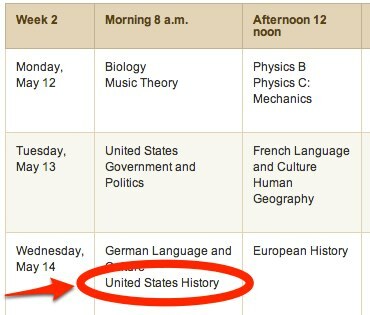 Of course, the AP US History test. Thanks, College Board, for the unexpected traffic boost! 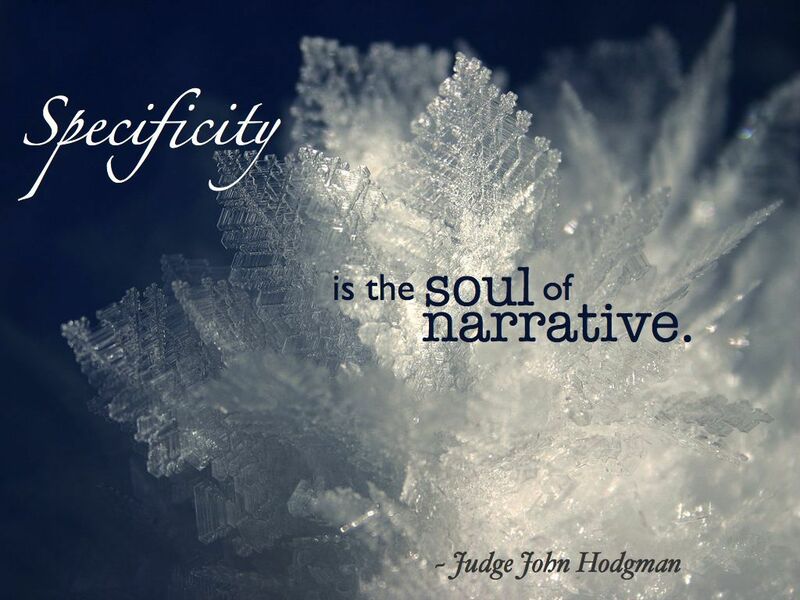 And yes, I do realized that two of my last three posts have been quotes from John Hodgman. I’ll work to diversify my content ASAP. Well, the school year has officially come to a close and I’ve no longer got any excuses about lesson planning or grading to keep me away from reflecting on and sharing many of the new things I’ve experimented with during this past school year. Hopefully, I’ll get my writing mojo together and be able to share a lot of that over the next few months before I’m drawn back into the vortex of the 2013-2014 school year. However, this summer I’m also up to some exciting research of my own in Philadelphia and I’ll be presenting a conference paper in St. Louis. Perhaps this space will also occasionally get hijacked for writing about dissertation-related developments as I work to sort out and process how much of the primary source material I dig up at Haverford, Swarthmore, and the Historical Society of Pennsylvania. Finally, I’m also playing around right now with a new online, collaborative writing tool called “Draft.” I read about it here at ProfHacker and am enjoying working with it thus far. In fact, I’m publishing this post from Draft and find its clutter-free writing environment to be really nice and straightforward. Perhaps this new Zen Garden of composition will help me fulfill the aspirations I set out at the top of this post…time will tell! As I’m making last minutes preparations to administer my Fall Trimester final exams tomorrow, I thought I’d go ahead and create a procedure for my students to follow so that they don’t get confused about what materials they’re allowed to use for different parts of my test. The reason this is an issue is because my essay question is one where students have to compare two different articles and I want them to have the articles and their annotations handy in order to make an effective and evidence-rich argument. However, the point of this post isn’t so much to explain my test format and rationale (though the former is something the really dedicated will be able to glean from what is to follow), but instead to talk about how design can really affect the effectiveness of these types of instructions. My primary thought process in creating this assignment sheet was to provide students a clear set of linear steps that would be distinct and hopefully clear. I asked my wife, who is quite the typographical/design wizard, to read it over and see if it made sense. She vouched for the fact that the steps made sense, but thought I should redesign it to make the organizing principle the different parts of the test and rather than different steps. What do people think? Does the revised version much more effectively communicate what students should do for the different parts of this test? If nothing else, I think the revised version looks much cleaner and also makes better use of different design elements (shading; various fonts) than the first version. We’ll find out tomorrow if all my typographical wrangling nips questions about procedure in the bud before they happen. 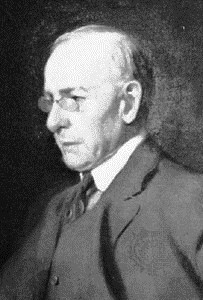 For my own (and Louis Sullivan’s) sake, I’m hoping it will! 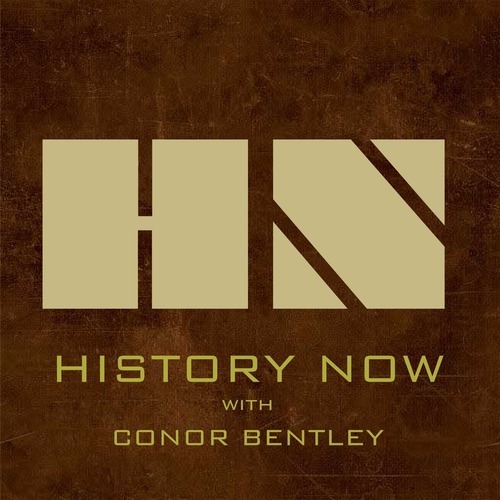 “History Now” with Conor Bentley – Episode 2, featuring yours truly! As I’ve recently moved back to my hometown, I’ve had the chance to reconnect with a number of acquaintances with whom I grew up, catch up with them, and learn about all the cool things they’re up to currently. One of the people who fits into this category is Conor Bentley, who I went to high school with and graduated a year after me. He’s presently working on some cool podcast projects, one of which is called “History Now” and focuses on bringing various historical moments to life through interesting editing, in-depth contextualization, and a unique presentation. Conor interviewed me about five weeks ago regarding the Mormon Pavilion at the 1964-65 World’s Fair. Impressively, Conor took the roughly 25 minutes of our interview and discussion about the Pavilion and turned it into a really nice final product that captures the core of my research and writing on this topic quite nicely. It was fun to get to talk with Conor about this topic and I think he’s done a really great job with the end product. Check it out and you’ll get to hear my silky-smooth pipes – what could be more enticing than that! Also, Conor’s first episode of “History Now” was about the Great Chicago Fire and features my colleague, Dr. Fiona Halloran – check that one out too!